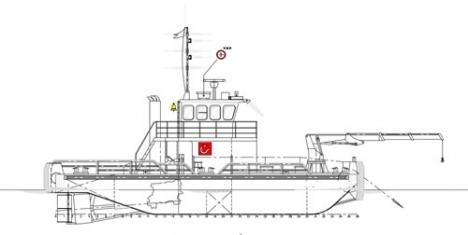 A well equipped support vessel for marine construction, engineering, repair, diving and maintenance work. 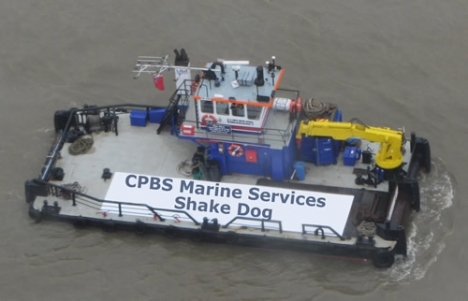 Our multi-cat Shake Dog - named for the owners' children, Sam, Holly, Abby, Kate & Emma - arrived on the Thames in June 2012 and had a major refit and drydocking in May 2015. During the refit she had a new 68t/m crane fitted, and had a full ultrasonic survey. She also had internal improvements including a new galley and upgraded crew accommodation. 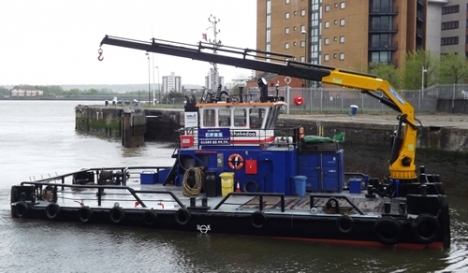 She has proved herself a rugged workhourse time and again, from her first job removing and re-instating moorings for super yachts in the royal Victoria and Albert dock in London, to assisting with the extension of Felixstowe port's quay. On the way she has assisted with the lift of a WWII bomber from Goodwin Sands on behalf of the RAF, and transported a 4 ton metal plug along the Thames, you can read about that project here. 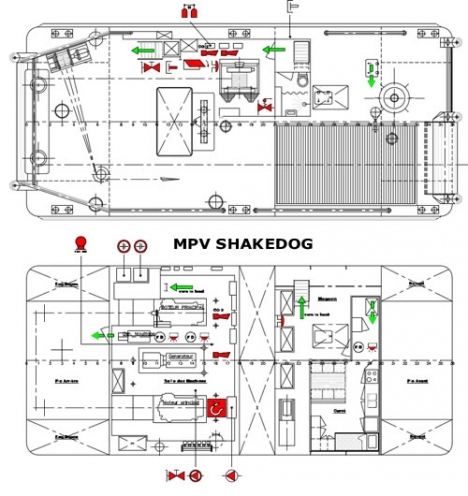 As well as working locally on the Thames and South-East, Shake Dog is licensed to work in the North Sea, on the South Coast and in all UK and Ireland ports including (but not limited to!) the Port of London, Portsmouth, Southampton, Ramsgate, Plymouth, Liverpool, Ireland, Cork, Glasgow, Aberdeen, Shetland Islands, Newcastle, Tyne, Great Yarmouth, Scarborough, Grimsby, Hull, Ipswich, Lowestoft, Medway, Dover and Milford Haven. Additionally we can also travel to most major European ports. Shake Dog is equipped with a 68t/m hydraulic crane as well as a self loading TL38 Cherry Picker work platform with the capability to take 2 people from river level to 44ft for various applications including aerial inspections, close working at height and ease of access to bridges as well as other works normally only made possible by abseiling. The deck is large enough to hold 2 * 20ft containers or 1 * 40ft container. 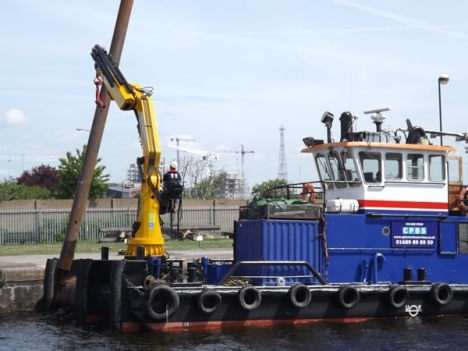 Bridge survey boat, dive boat, film and camera boat, windfarm support vessel, and many other roles. "I would not consider any other supplier"